It's another back-to-back win for the Philippines if given a chance to Adela-Mae Marshall to win the Asia's Next Top Model. Marshall clench a spot at the top 3 of the reality model search competition as she proudly announced in her Instagram account. "I am so happy to finally be able to tell you all that I was able to bring my beautiful country into the Top 3," she said in an Instagram. "I think you may be able to tell that I didn't think would make it in this episode because both of my competitors were really strong, but I will try my best to secure a back-to-back win for the Philippines," she added. 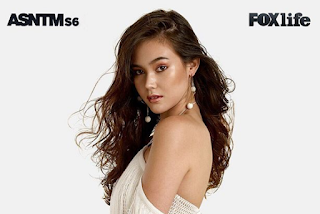 After receiving the third best photo of the week at the show's episode seven, Marshall now has the second highest accumulated average among the top three finalists a closer step for winning, after Maureen Wroblewitz took won the Asia's Next Top Model last season. Like many other women that who think might be her weakness in the competition. "I'm not a typical model like I'm not super matangkad, super payat. But I really think that I have a good attitude and approach, and I'm really game for anything." If ever Adela wins inthe show, one of the prizes is a contract with Storm Model Management in London. However, though happy to be in the top three, she feels deeply for fellow Filipino contender Jachin Manere, who was eliminated at the episode six.